Brad Neel, owner of Neel Aviation has established the leading international aircraft shipping and containerization company around. They carefully dismantle aircraft in their Lakeland, Florida hanger, secure it and package it in a shipping container and ship the aircraft to an international location. 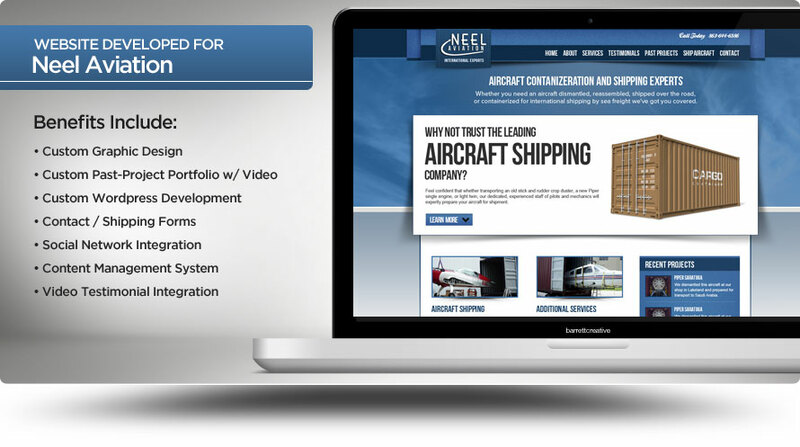 Neel Aviation called upon Barrett Creative to completely start from scratch and build a website based on a great user experience, search engine ranking and backend functionality.